Definitely would! It might be too spooky for me though. But, I would try it. I keep trying with Peter James but somehow he and I don’t seem to hit it off. Perhaps I should read a one off, perhaps it is Roy Grace I don’t warm to. 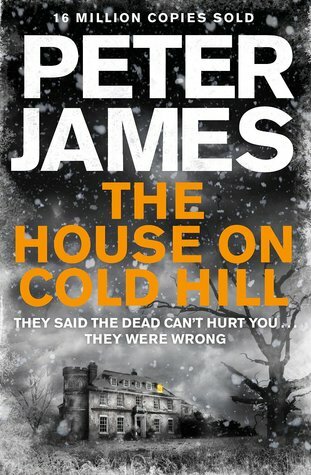 I like Peter James’ writing, and this seems like an interesting departure from his Roy Grace novels. Hmm..intriguing. I’ll be interested in what you think of it, Margaret. This looks like a terrific book, he’s a great writer – I really need to read this! I haven’t read the author but this story does sound intriguing. This week I am featuring The Curse of the Silver Pharaoh by Pip Ballantine and Tee Morris. Happy reading! LOL OMG wearing well at 40, and I’m over 40… Geez, funny that one. Happy weekend! I’ve read some of his earliest books in the series because I like the Brighton setting, but I’m not sure I’d go for the plot of this one. Hope you enjoy it. Definitely! I’ll look out for your review of this one. Margaret. Hmm… the blurb sounds fun, but the quotes don’t entice me much. I’ll wait to hear what you think!